We’ve already reviewed a lot of Magento 2 B2B extensions, but there are many more tools to be discovered. And today our attention has been captured by the MageArray Wholesale B2B Magento 2 module. 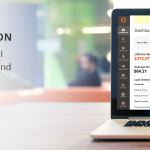 This Magento wholesale pricing extension allows creating a separate website oriented towards your business partners. Alternatively, you can use one storefront, but wholesale and retail customers will get different information. Below, we describe some core features of the MageArray Wholesale B2B Magento 2 extension. Different prices on per customer group basis. There are two different ways of how you can use the MageArray Wholesale B2B Magento 2 module. The extension allows leveraging its functionality on a separate website oriented towards wholesalers. Alternatively, you can provide B2B customers with appropriate features on the basis of their customer group. Let’s describe the first variant. 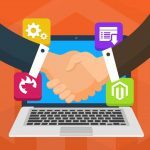 You create a separate B2B website on the basis of Magento 2. As a result, it is possible to set a different price for the product that is already available on the retail store. Although this is the main purpose of the MageArray Wholesale B2B Magento 2 extension, there are many more features to be explained. 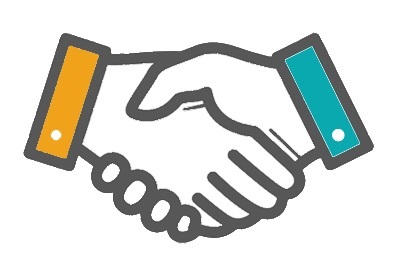 For instance, you get a full control over your B2B partners. The module allows activating them manually after a new wholesale account is created. Thus, you can always contact your future customers or review information they provide before allowing any actions within the store. 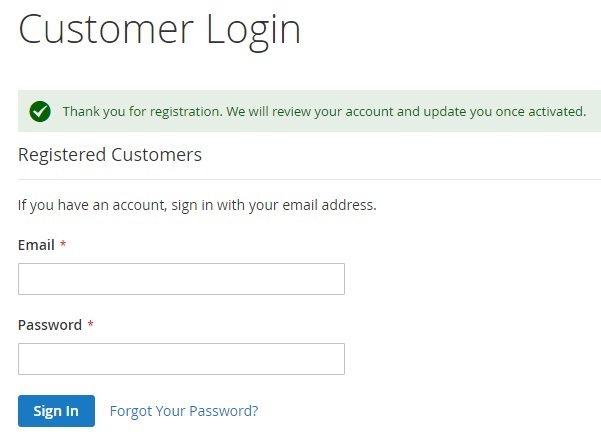 It is even possible to assign a customer group after the registration. To save precious information from competitors, the MageArray Wholesale B2B Magento 2 module allows hiding it from unregistered store visitors. The feature works with product prices and Add to Cart. If you think that this is not enough, MageArray allows hiding even products and categories. In case of the same website, group prices are used. It means that within the same storefront, prices differ depending on the customer group. Assigning specific customer group after registration is possible as well. Next, B2B features are provided on the basis of the specified group. Now, let’s take a look at the backend implementation of the aforementioned features. The module is extremely easy to use. After installing the extension, configure it. Go to Stores -> Settings -> Configuration -> MageArra Extensions -> Wholesale – B2B. Here, you can select a wholesale type: a store or website. In case of ‘website’, the extension allows you to create a new one or choose the already existing. 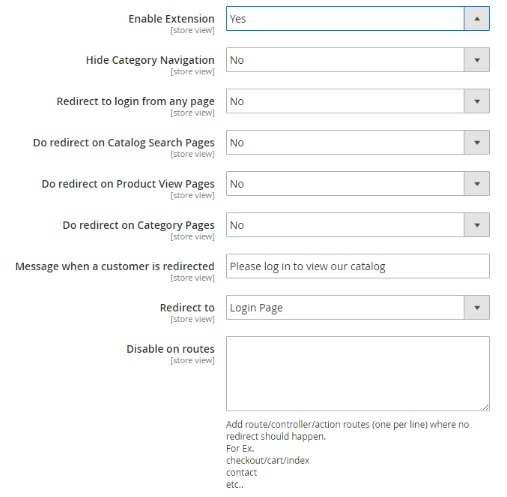 There is the ‘Create Now Button’ that allows creating the new Magento 2 wholesale website within just one click. Besides, it is possible to add an address field for the wholesale registration form, enable B2B customer activation by administrators, select a value for ‘Show Tax/VAT Number’ field in the wholesale registration form, and specify a customer group to assign wholesale customers to. Next, there is the ‘Hide Price’ tab. It allows you to enable/disable the feature, type a text that will be displayed instead of price, and make it clickable (specify the link to redirect customers to). Alternatively, it is possible to hide prices by customer group. Hiding prices for everyone allows providing B2B customers with individual prices. Just redirect them to a contact form where they can ask for individual price quota. 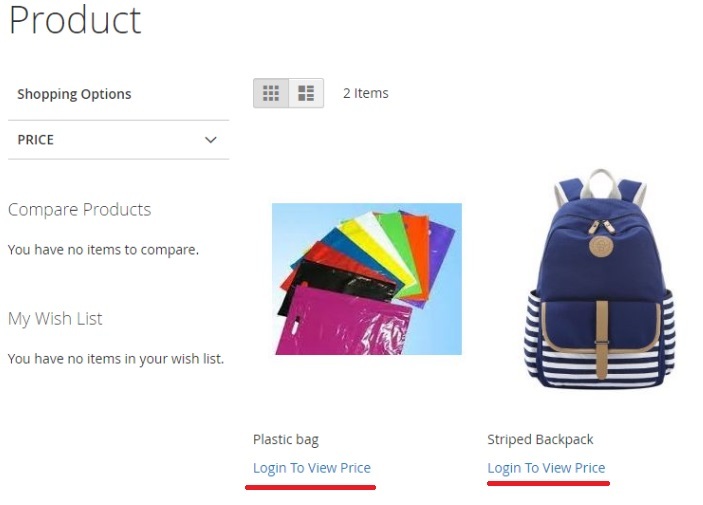 The ‘Catalog Login’ tab offers an opportunity to hide other store information from competitors. Enable the feature, and limit guest functionality by hiding category navigation and redirecting guests to login or CMS page from any store page or catalog and product pages separately. Don’t forget to specify a message that will be displayed to customers when they are redirected. Note that it is possible to make exceptions by disabling the feature on specific routes. Another tab with Magento 2 B2B configurations is ‘Customer Activation’. Here, you can specify a behaviour for customer activation. Enable the feature and set ‘Activate New Customer Accounts By Default’ to ‘No’. Next, the MageArray Wholesale B2B Magento 2 extension allows enabling groupwise activation and selecting which customers need activation by store admins. Configure email notifications to both administrators and customers and specify messages for errors and successful registration. From the frontend perspective, the MageArray Wholesale B2B Magento 2 module provides store visitors with the ability to register as a wholesaler. 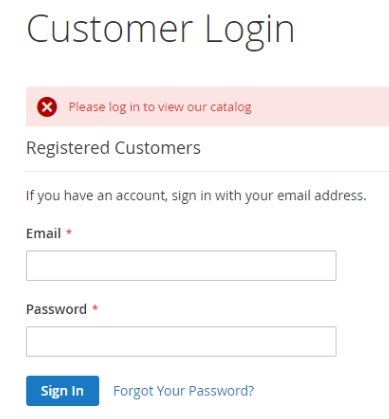 At the same time, the header displays a link to retail account registration. As for the wholesale registration form, it requires personal information, address information, and sign-in information. 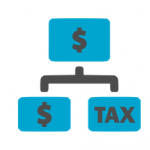 If product prices are hidden from unregistered customers or specific customer groups, the message you specified in the configuration section of the extension is displayed. Usually, it is something like ‘Login to view price’.